The Brenton Jacob Memorial Fund has announced the 2016 winners of the Red Stitches Essay Contest. The contest is open to Little Leaguers ages 9-14 who submit a 100-word essay on what baseball means to them. Winners are awarded a one-week session at the famed Williamsport Little League Camp in Williamsport, PA—home of the Little League World Series. This year, three students were chosen as winners. They are Domenic Romach and Kyle Brooks from East Rochester, and Marin Melnyk from Pittsford. Each winner’s essay represented a unique reason for their love of the game. 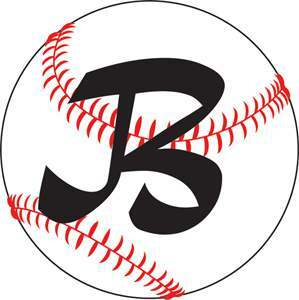 The Brenton Jacob Memorial Fund was created in honor of 2004 East Rochester High School graduate, Brenton Jacob, who passed away in 2012 at the age of 26. Brenton was a devoted baseball fan and talented player. The organization honors his memory by providing opportunities for local children to play youth sports. In addition to the Red Stitches Essay Contest, the organization hosts an annual fundraiser, the Brenton Bomber Classic Softball Game and Home Run Derby. This year it will be held on Saturday, July 23 at Edmund Lyon Park in East Rochester from 10 a.m. – 3 p.m. There will be home run derbies for both children and adults, a lively softball game open to all skill levels, children’s activities, local food vendors, and a raffle with great door prizes. Proceeds from the event are donated to youth sports programs to cover registration fees for families in need, and for Red Stitches scholarships. Community support is essential to the mission of the Brenton Jacob Memorial Fund. For volunteer opportunities or to make a donation, please contact the Brenton Jacob Memorial Fund at P.O. Box 226 East Rochester, NY 14445. You can also email bjmemorialfund@gmail.com or call 585-360- 0355.